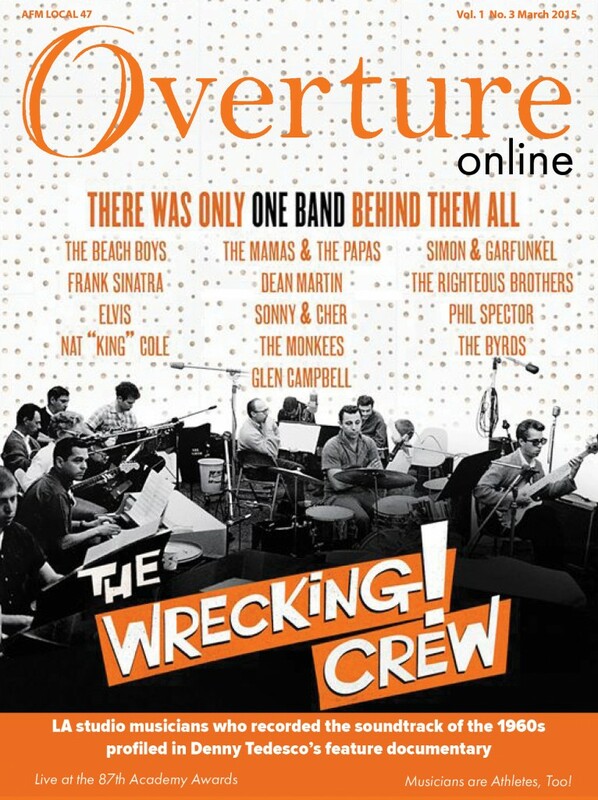 March 2015 Overture Online: Meet the Wrecking Crew! While Overture Online is optimized for reading via the app versions, readers may also access the new issue on your web browser here. New e-issues of Overture Online will be available for viewing online on the first of each month. Accessible from your web browser on your laptop, PC or smart device, a link to the new issue will be posted on the Local 47 website. No, print is not dead! We will continue to mail hard-copy issues to the membership, but now on a quarterly basis every January, April, July, and October. These print issues will contain feature stories, news updates, and any announcements requiring due notice per the Local 47 Bylaws. As stated above, they will also include member updates and other notices not offered in our public issues. Having trouble reading this issue? If you are on an outdated web browser or older computer, you may not be able to access our dynamic html5 files. For those who would still like to read the articles (albeit sans fancy formatting or interactive links), view a pdf version in the members section at afm47.org. This entry was posted in All News, Overture Online and tagged Academy Awards, Godfather Live, Oscars, Overture Online, Wrecking Crew on March 5, 2015 by admin.